Murdock steals the show every time he gets a line. Hard to believe those guy could pop off so many rounds without hitting anything/anyone! When I was a kid, I loved Bosom Buddies. It's pretty much a terrible show, by any standard. I have been watching Buck Rogers reruns on MeTV. What a bad show. Bad stories, acting, set design, SFX .. but I still love it. WKRP has held up really well through. Agree on both counts!! I hadn't realized MeTV was running Buck Rogers -- I'll have to set the DVR and remind myself just how bad it really was. But I sure liked it when it first ran, when I was age 10-12 roughly (I was born in '69). WKRP will absolutely stand the test of time, though, as I suspect will Barney Miller. googlymoogly, BluesOvertookMe, vinnie and 1 other person like this. Welcome Back Kotter was my favorite show as a kid. My wife has been going through the whole series on reruns lately, and I have trouble watching them now. It really doesn't hold up. Moshe V, rod and Spaghettiows like this. I've watched a few of them in recent weeks, and they are cringe-worthy at times, and very tired and dated humor. I worked in radio 40 years ago, and thought then that WKRP was fantastic. Today? Nearly unwatchable. rod and Grunge Master like this. Used to like this back in the day (when I was 10! ).....but time has not been kind. I loved The Partridge Family as a kid. Just started watching the first few episodes from season 1, including the first (pilot?). Anyhow, what strikes me is how well cast this show was (minus Tracy and Chris, but they never really mattered). The chemistry is pretty much there from the git go. Susan Dey is especially watchable, good looking and mature beyond her years. Dave Madden is really good too. But watching now as an adult, this show is absolutely ludicrous. I cannot believe they wasted the cast on such insipid episodes, seemingly on the lowest of budgets. Famous pop band performing at a picnic, or whatever. And, why is the audience full of 60 year old stuffed shirts? I can watch about five minutes, then FF to the song of the day, and then, out. I can’t watch Adam 12 anymore, but have no problems with CHiPs, Dragnet or Emergency. Go figure. Excepting the musical segments, The Monkees. Same with The Beatles cartoon. Just watched Planet Of The Apes tv series, don’t recall viewing this real back in the mid seventies. Pretty good I thought. Jack Lord and alexpop like this. Again a underrated show !!! Moshe V and Grand_Ennui like this. We used to joke about those "kinder, gentler Ruger Mini-14s" that never could hit anything, Normally, they are tactically effective up to about 150 yards. Silver Spoons... used to love that show as a kid but completely unwatchable now. Regginold31 and Lightworker like this. I think of Lynde on that show almost every time I hear "my feet are killing me". 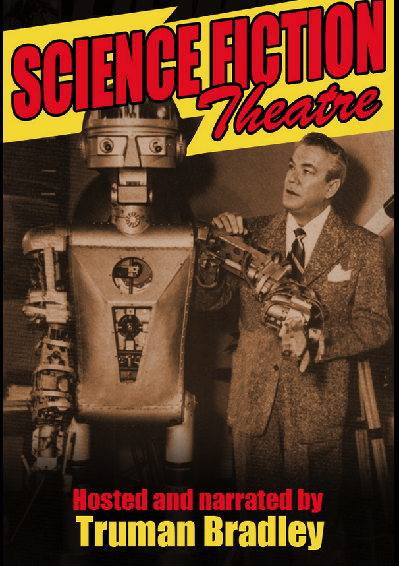 Anyone here remember Science Fiction Theatre? I'm sure my age is showing. As a little kid, I thought this was a little corny and low-budget, but still cool, late at night on an old B&W TV. I recently bought the DVD out of nostalgia, and couldn't even get through the first two episodes. Gave it to the public library. Today, it plays like a fourth-rate The Outer Limits. Seinfeld was the second-best sitcom ever, after The Honeymooners. I can still watch all those shows and never get sick of them. I find Futurama incredibly rewatchable, probably the most rewatchable animated show ever produced - no embarrassing ethnic stereotypes, no cringe-inducing humor. So true. Once the Frank Burns character was eliminated it ceased being comedy and became an utter bore, and as you say, oh so sanctimonious. fr in sc, jupiter8 and Grand_Ennui like this.